I've been flipping through the Irish Whiskey Technical File in recent posts (part 1, part 2). The document is a map of the Irish whiskey landscape, compiled by the industry and its trade body, the Irish Whiskey Association. The Department of Agriculture endorsed it and lodged it with the EU. It's now a map with legal force, staking out territory defensible at home and abroad. The rest of us should now ponder what we have signed up to. If we are to place our gunboats on standby, it should be in the service of something we believe in. That "Irish" in "Irish whiskey" belongs to all of us, and we should be sure it reflects the best of us. Irish whiskey has been and is an excellent ambassador for this country. That said, there is room for a few improvements that the industry is unlikely to push through by itself. * may also contain E150a, also known as plain caramel colouring. The technical file is up front about the use of colouring. Whiskey matured in wood naturally varies in colour so a small, variable amount of caramel is added to each batch to produce a consistent final tint for bottling. It's done because consumers in some markets equate inconsistency with fakery. Since counterfeit alcohol can be poisonous, that's a fair concern. The technical file calls the use of caramel a traditional practice, dating back to the 19th century. It undermines the authenticity of the product. If you would monkey with the colour of the whiskey after the fact, what else would you do? Consumers will never accept this practice as above board. Caramel is used by large well-known brands in small amounts, without affecting flavour, and this is the use case cited by the technical file. However this has opened the door to the heavy-handed use of caramel in minimally-aged whiskey to fake the appearance of something far older. This is not good for the reputation of Irish whiskey. We have come a long way since the 19th century. Careful wood management and computer-controlled charring of casks must reduce the colour variation problem. 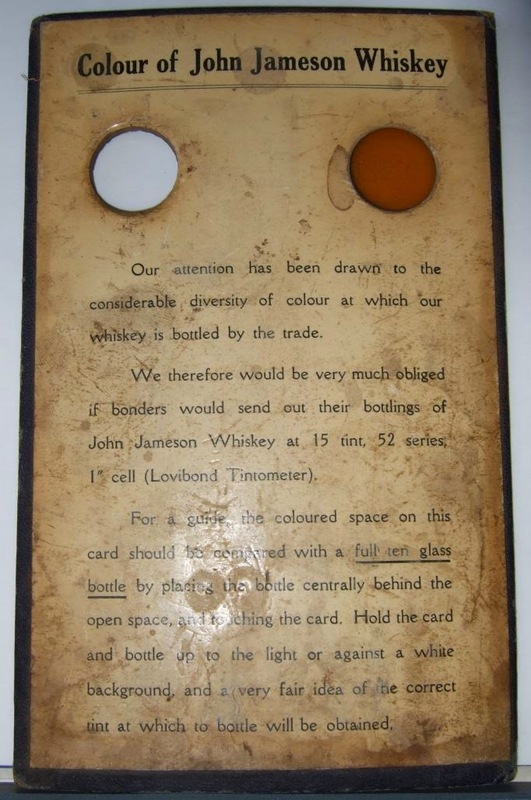 The vatting together of a huge number of casks for the likes of Jameson, must also skew colour towards the average. I feel certain that the folks at Midleton - among the smartest in the business - can figure out how to eliminate the residual need for caramel. On the retail side, there are packaging measures that would reassure consumers they have the genuine article in their hand. Part of the Irish self-image is that we are an agricultural nation with land suited for, among other things, growing grain. It's not an accident we've been making whiskey as long as we have. The raw material is abundantly available. So the technical file surely guarantees that Irish whiskey is made from Irish grain grown by Irish farmers, correct? Nope. There is no requirement that any of the raw materials come from this island. In practise, most of the barley used - malted and unmalted - is properly Irish. (The exception is peated malt which must be imported from Scotland since we don't (yet) have any maltsters willing to produce that). Barley field. Image copyright Richard Webb. At some point in recent decades, however, a brutally unsentimental decision was taken to feed the column stills with maize from the south of France. Our grain whiskeys and blends, therefore, are more than a bit French. 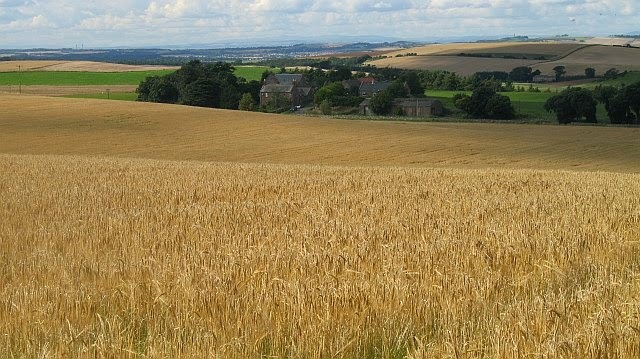 We could substitute Irish-grown wheat for maize. If we fudge the meaning of "Irish" in a protected term like "Irish whiskey", we devalue its meaning in other contexts too. Ingredients: the grains used and caramel, if present. Where it was distilled. In a few years' time there will be dozens of low quality Irish whiskeys made under contract for private labels and released at close to minimum age. (With a suspiciously deep colour too, no doubt.) It's going to be a lot harder to tell the good stuff from bad by looking at the bottle. Consumers around the world can't be expected to know if the placename on the front corresponds to an actual distillery location or if it's just there to mislead. So make it clear. None of the above is unique to Irish whiskey. It applies equally well to Scottish whiskey. Wouldn't it be a nice point of differentiation to be able to say, for example: "Irish whiskey differs from scotch in that no additives are allowed and it must be made from locally-grown grain"? There is an opportunity to decide what we want "Irish" to stand for, not just with regard to whiskey, but across all our endeavours. We should hold ourselves to the highest of standards.